Another desiccated Friday night. Walking down Damen, passed Big Star and the Double Door, was a cruel stroll — people packed bars and clubs looking ahead to a night of possibilities. It was a reminder that I’d turned my back on a bubbling social life. I slowly swept away those possibilities over the last few months, sorting the wreckage but finding comfort with Marty. Now, instead of gearing up for a night of drinking, I was gearing up for running — plans that Marty almost always canceled. This Friday was no different. 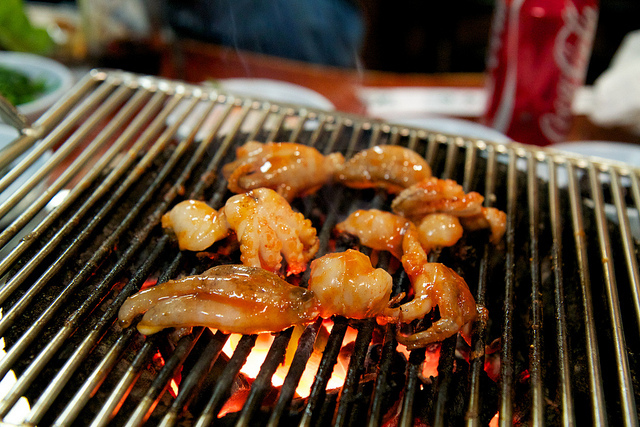 Rather than running, we had Korean barbecue. 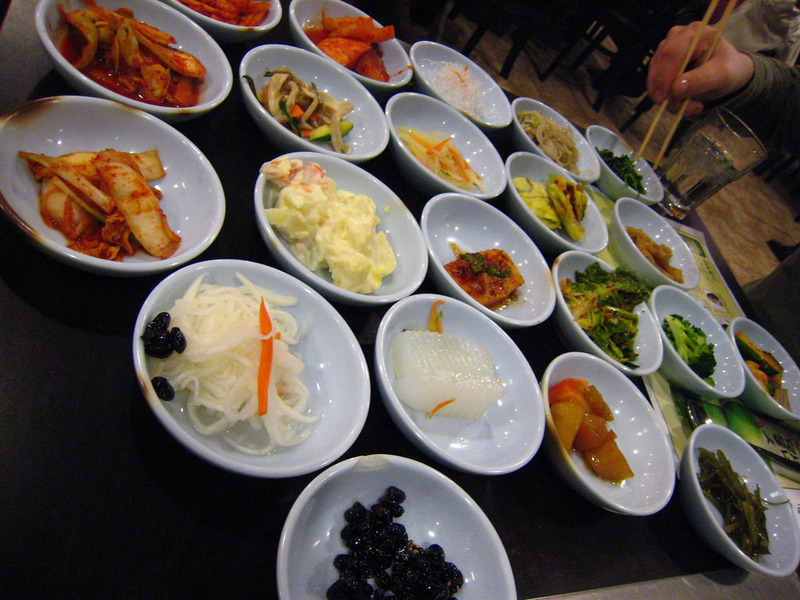 We drove up to San Soo Gab San on Western and Foster. It was in a strip mall and was lacking any fanfare, but I was told by my foodie friends that it was the best Korean barbecue in Chicago. Opening the door was like watching the fog roll over San Francisco. Smoke and steam billowed up from the sweet meats being seared by eager eaters from the comfort of their own tables. A hostile hostess led us to the back where they put all the two-tops. Marty wasn’t happy with the seating arrangement, but he didn’t complain; at least not loudly. We ordered many meats to go with our many salads. It was fun. Marty was excited. He took pictures. 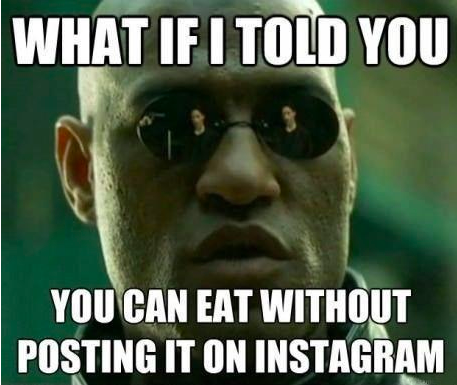 I desperately wanted to show him the meme of Morpheus that said “What if I told you… you can eat it without posting it on Instagram” but I didn’t. He was enjoying himself and I didn’t want to spoil it. “So you like the active dining experience?” I asked. Marty was easily grossed out so I didn’t tell him that I found a long black hair in the egg salad. He wouldn’t have eaten the egg salad anyway. Nor did I tell him that I saw one of the waitresses flossing her teeth with a floss pick in the middle of the restaurant. At least I didn’t mention those things until the drive home. The next day Marty promised to bake with me. It was the first warm day in a long time, and I felt guilty for wanting to be inside to make cupcakes, but I was excited. After our run, Marty took me home so I could shower and feed my cat. When I got there, I found the Easter egg that Marty made me on the floor. It was crushed and so was I. It had been on the table next to the door and my cat must have knocked it off. I picked it up with hopes of salvaging it, but there was nothing I could do to fix it. I was…deflated. My mood was lifted just before I got in the shower. I got a text from New York buddy. 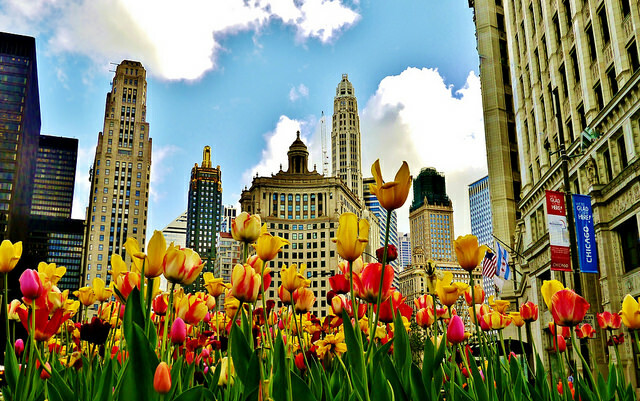 He was originally from Chicago and he came back frequently to see his family. He was also a serious Chicago sports fan so he had Bulls season tickets. He couldn’t get rid of the ones he had for that afternoon even though they were in the playoffs. I accepted them without hesitation and without knowing what time the game started. I was sure Marty would be willing to skip making cupcakes to watch basketball. It was 12:15pm and the game was scheduled to start at 1:00pm. I frantically texted and called Marty before I got in the shower to tell him we were going to the basketball game. I didn’t get a response until 12:45. He had fallen asleep. I told him to meet me at the United Center as soon as he was ready. I got there when everyone else had already gone in. 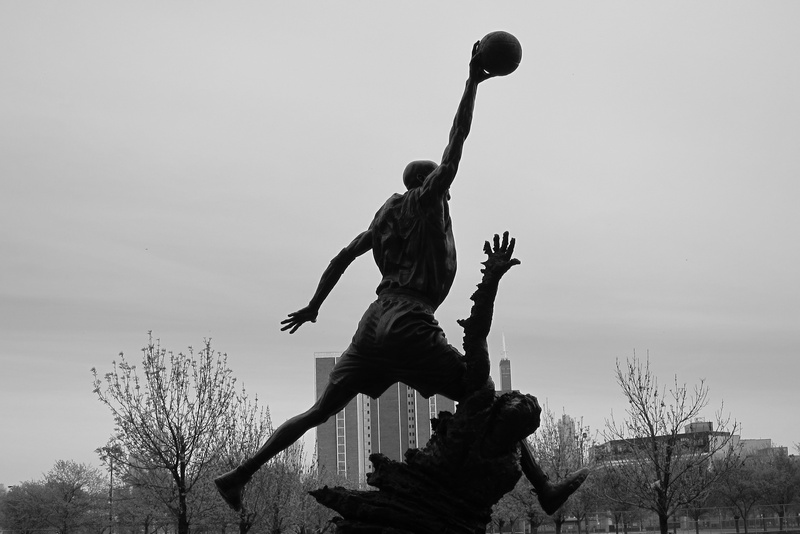 I waited for Marty at the Michael Jordan statue. He was late. I didn’t know why I was irritated by that. I didn’t even like basketball and I wasn’t drinking anymore so it wasn’t the beer calling me in; I just wanted to be there. I saw Marty walk toward me from the parking lot. He was smiley with his gray hair, his pink plaid button-down and his canvas shoes. He was adorable. I wanted to squeeze him. I told him about my friend as I rushed him into the gates. The only thing we missed was the Running of the Bulls, which I thought was pretty lame anyway. It was my first professional sporting event without booze. It was exciting. The last time I had sat in those seats, I was hungover and taking in the hair of the dog that bit me. If I had been drinking at this game I’d have puked all the way home because it ended up going into triple overtime, lasting four hours. Doing it dry was a completely different experience. I had to pay attention to the players and what they did with the ball rather than focusing on the beer guy and if he would get to me before I drained my can. Marty loved everything that had to do with sports so he schooled me on the history of every player on the floor that night. I didn’t get bored once. It was perfect. After the game, we went back to Marty’s house. We ordered Thai food. I was disappointed that we didn’t make cupcakes and we spent the first sunny spring day indoors, but I was happy. We sat on the couch and Marty watched more sports while I read my book. Marty wedged his way between me and my pages. “Do you consider me your friend?” he asked. “Of course,” I said, not looking up. “I don’t know,” I answered. “I consider you the boy I’m dating, but we haven’t talked about it. He had no response to that but I suspected he wanted to be my boyfriend.